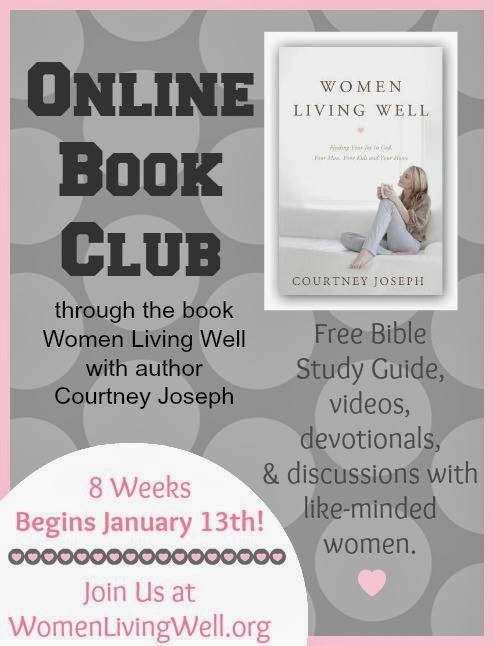 Do you remember a while back I told you I was very honored to preview a copy of the book (this post) Women Living Well by Courtney Joseph. It was an awesome read for me! I loved it, gave a copy away on the blog (this post), and have told all my girlfriends about it. Well now Courtney has decided to do a book club!! YAY!! 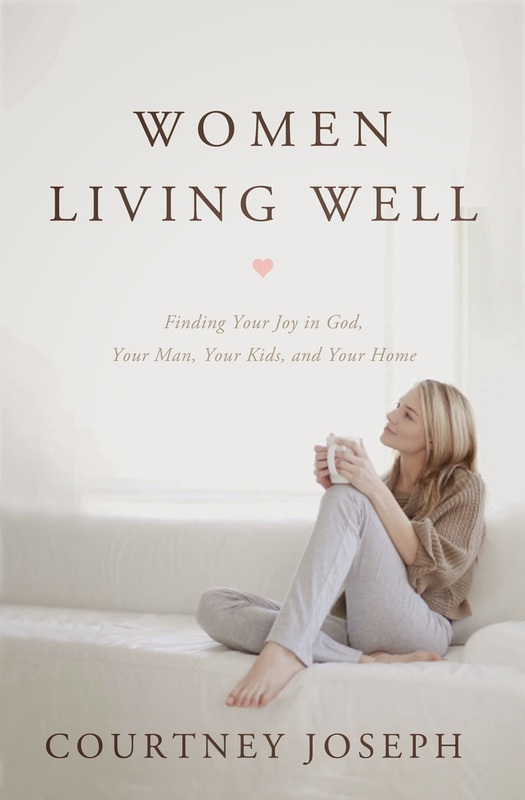 You can read more about it on her site Women Living Well. 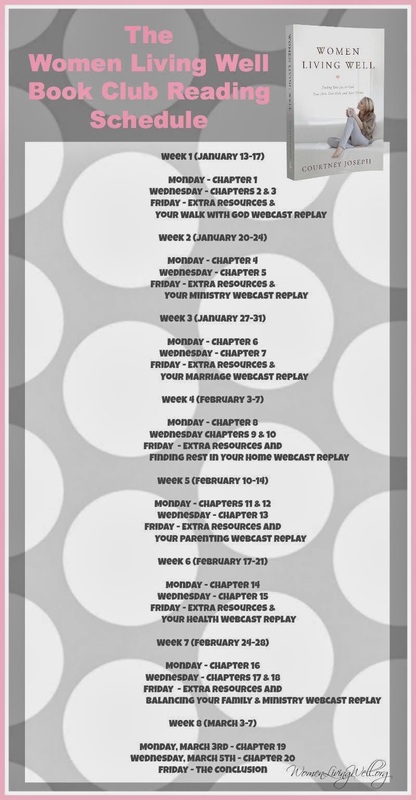 I plan to post a blog each week on Tuesday for the next 8 weeks about that week's focus. Who wants to join me?? Hi Caci! 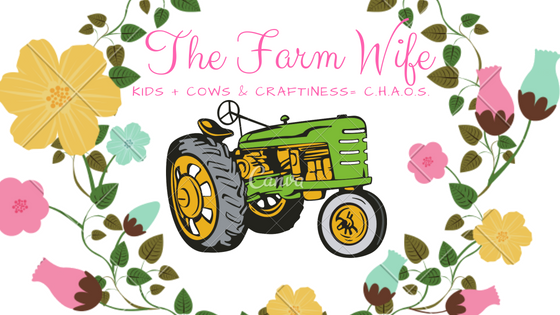 I just really enjoyed looking through your farm and family photos! I'm so glad you are joining the book club.